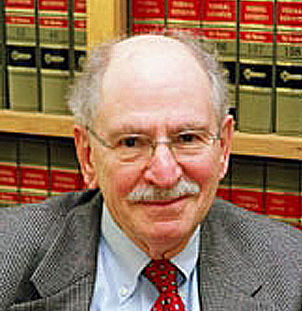 Judge Alan Nevas, a retired Senior United States District Court Judge, serves as an arbitrator and mediator in a broad range of commercial disputes. He also counsels clients on complex litigation and pre-litigation strategy issues. He was appointed to the United States District Court for the District of Connecticut by President Reagan in 1985. He held that position until retiring in 2009. During his tenure on the bench, Judge Nevas served as a member of the Board of Directors and then as President of the Federal Judges Association; a member of the Committee on Court Administration and Case Management of the United States Judicial Conference; and a member of the Committee on Codes of Conduct of the Judicial Conference of the United States. During his years on the bench, Judge Nevas presided over a wide range of civil cases, both jury and non-jury. He also presided over numerous major criminal trials involving white collar offenses, organized crime, public corruption, and large scale drug distribution rings. From 1971 to 1977, Judge Alan Nevas served as the elected State Representative from Westport in the Connecticut General Assembly, and in his second and third terms served in turn as Deputy House Majority and Deputy House Minority Leader. In 1976, he was named one of the Ten Most Outstanding Members of the Connecticut General Assembly in a poll of the Assembly’s membership conducted by Connecticut Magazine. From 1981 to 1985, Judge Alan Nevas served as the United States Attorney for the District of Connecticut. Prior to his appointment as a federal prosecutor, he was engaged in the private practice of law. He is a Life Fellow of the American and Connecticut Bar Foundations and an Honoree of the Connecticut Branch of the Federal Bar Council of New York and Connecticut. Appointed by Governor of Connecticut to Chair a committee to investigate a natural gas explosion in Middletown, Connecticut. Chair of Distribution Committee for victims of Sandy Hook School shooting in Newtown, Connecticut.